Backpacking Tarps: Better Than Tents? Backpacking tarps aren't a new idea. I've been carrying one on every hiking trip, no matter how short or long, for over 40 years as a piece of survival gear. A few pieces of duct tape keep it in top shape, and it folds down small in my pack when I don't need it. In fact the blue tarp in this photo is the one I purchased that long ago. I was surprised to discover that you can get one just like it here! Great ideas never go out of style, I guess. I recall huddling beneath a canvas tarp on the shores of Lake Superior, waiting out a wet stormy night at the tender age of 14 years. Minimalist shelters lost their appeal for me that night, 5 decades ago. I knew I was a tent woman all the way. Are tarps made of new synthetic materials a viable solution to the problem of reliable lightweight shelter? Let's take a look at the reasons you might prefer to carry a backpacking tarp rather than a tent. 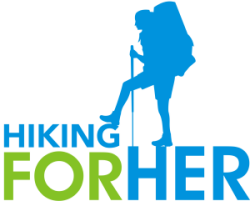 Affiliate links on this page mean you pay nothing extra to purchase your gear, while Hiking For Her receives a small commission for recommending the best tarps. Why carry a backpacking tarp instead of a tent? The obvious place to start is with saving weight. 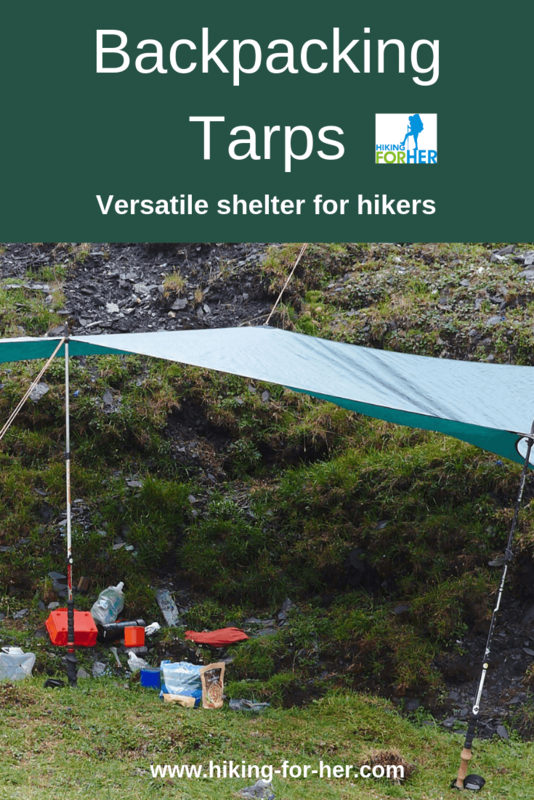 If you want to go fast and light, a tarp shelter can be your best option. This weight savings can also appeal to hikers who know they are not going to be caught in wet, windy weather and like star gazing on warm, clear nights. Or for older folks who are trying to lighten their loads in order to squeeze out more mileage with more endurance. coverage for gear left out in the snow or rain. emergency cover for a hypothermic hiker. If any of that describes the type of hiking and camping you're planning to do, carefully consider carrying a tarp rather than a tent. This is pretty obvious as well: only a ceiling and partial walls, no floor, and thus a bit of breeziness is to be expected. If you're going into wet, wild conditions, a tent like this one might be a more prudent option to keep your sleeping bag and backpack dry and "fit for purpose". If you are at all creeped out by insects, arachnids, snakes or mice, you might be uncomfortable lying down with them all night. Something else to consider: Wind gusts make setting up a tarp a challenge, especially if you're hiking solo. 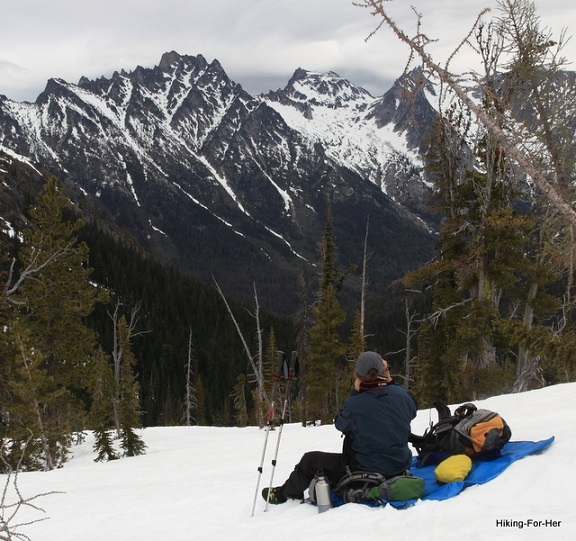 You'll have to be diligent to avoid the "kite" syndrome - you don't want to wave bye-bye to your only shelter as it sails over the ridge and out of sight. Tarps can rip no matter how carefully you handle them, thus compromising your shelter. Always carry something to make repairs: duct tape or Tenacious Tape. Backpacking tarps can be very inexpensive (less than $40 US) like this one. allows you to experience the various moods of Mother Nature at dusk and dawn. You'll feel more adventurous beneath a tarp, that's for sure! Want a bit more from a tarp? Here is a moderately priced option to consider: this waterproof nylon tarp. If you want three season performance and a bit more room, take a look at this sil/fabric tarp. Truth be told, there are also very, very expensive ($200 - $300) cuben fiber tarps. Use these investment pieces of gear when weight really matters to you, as in thru hiking a long trail like the PCT or AT. I caution you to factor in your comfort, your body heat, and your ability to endure bugs, cold temperatures and high moisture levels when you take a look at the option of carrying a backpacking tarp rather than a tent. It will be too late to change your mind about the type of shelter you're carrying, once you're on the trail. Think through the tarp -vs- tent decision very carefully right now, in the comfort of your own chair. On the other hand, think of the weight you'll save, and the time, too. It will definitely up your adventure quotient! After reading about tarps, are you curious about how to size up tents? Read this. Then make your decision about shelter from a position of knowledge.